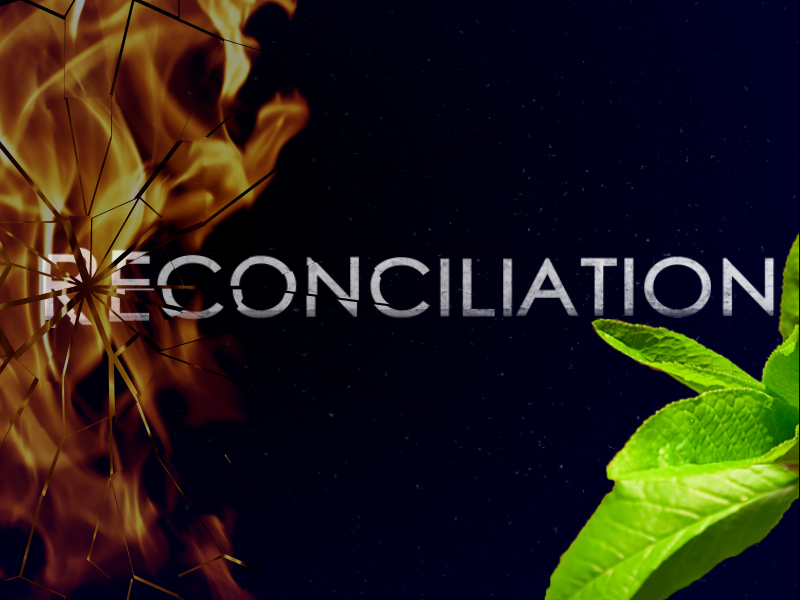 One of my favorite words in the English language is “Reconciliation”. The etymology of the word reconcile comes from the Latin “reconcilare” which means “to bring together again”. When Jesus came into this world and identified with humanity as the God-man He sought to bring together again the original creation of man with God the Father. Did you catch that? At one time, in our original state, we were together with God. He would walk with Adam and Eve. He would fellowship with them in the garden of Eden. He actually, physically, walked WITH them. Because of original sin, which entered the picture, we became separated from God. Think of it like a great big, messy divorce…except we were the offending party and God the Father did nothing to deserve our infidelity. How it must have wrecked His heart to find us unfaithful to Him. To find out we (Adam and Eve) deliberately and consciously disobeyed Him. But we all know this story don’t we? We understand the consequences of the fall of man…don’t we? He came to set things right with us. He came to Reconcile us (back again) into the Father’s arms. Think about that for a moment. Isn’t that beautiful? Doesn’t that evoke in you some sort of longing to physically be embraced by God the Father as you enter into the wedding feast? Jesus came to restore us. He came for the whosoever…those who would actually come seeking Him. When we face the God-man, Jesus Christ, for who He is and what He came to do, we make a vital decision. We, who have then become Christ-followers, we choose to become like Him in our daily living. A part of this “becoming” is to pick up where Jesus left off. We follow in the footsteps of the Rabbi, but in so doing we shuck off our old identities and adopt (not just imitate, but become) Christ in our everything! Taking it a step further, we are to be Christ’s ambassadors to the world relaying the vital message of reconciliation to the whosoever. There is a misnomer though that I think we buy into once in a while – “Reconciliation is only for the sinner”. This is simply not true. Though we have become like Christ in every way, shape or form (or so we think thus far) we are still in need of THAT reconciliation daily! The Hebrew words associated to the word “Ambassador” are: “tsir” or “melits” and “malak”. Essentially they mean “an interpreter” or “a messenger”. When we think of Ambassadors today we think of politicians from certain countries whose job it is to broker peace and trade agreements with other countries. But we as Christ-followers are also called to be ambassadors of reconciliation to the sinner and the saint. Taking it a step further being an Ambassador also implies that we are to literally breathe Christ’s message into other people by our words and more importantly by our actions. How can we provide clear interpretation of God and that of His love to those around us if we have not fully adopted and reconciled ourselves to His love as well? If this reconciled life is not within us then we cannot breathe this into other people’s lives. So as an Ambassador it has to begin with You…and it has to begin with me. It first must become personal…daily, even moment by moment breathing Christ’s holiness and likeness into our own hearts and minds through the power of the Holy Spirit. (Philippians 4:8). Dear Lord, let it begin with me. Breathe on me breath of God, allow me to be reconciled to You daily. Help me to see that I am called to be your messenger to others, even other saints. Help me to be the best Ambassador for you that I can be. May it be my lifelong passion which begins moment by moment with you. In Your Holy name I pray these things, -Amen. Next Post Why The Salvation Army isn’t for everybody, but it is for everyone!